haverhillchamber.com | Primary Design Wins Hatch Award! Primary Design Wins Hatch Award! At the 56th Annual Hatch Awards, the Greater Boston advertising community’s annual event recognizing creative excellence, Primary Design was honored with three awards for its superior, innovative work. 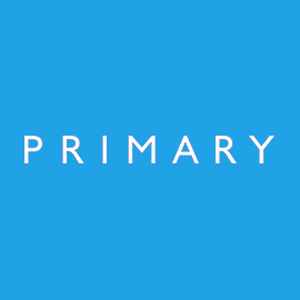 Primary received a merit award in the Business-to-Business Campaign category on behalf of CharterSearch, a bronze award in the Packaging and Point of Purchase Campaign category for its work for Chilmark Foods, and a gold prize in the Corporate Communications category for its own “Primary Brew” campaign. Primary worked with Chilmark Foods to re-brand and raise awareness of the company’s products, including renaming it the “Martha’s Vineyard Dressing Company,” creating quirky, fun new packaging, and raising the company’s social media profile. The Hatch Awards committee recognized this campaign in the Packaging and Point of Purchase category with a bronze award. The Primary Design team was also extremely proud to receive a gold award in the Corporate Communications category of the Hatch Awards for its “Primary Brew” campaign. The Primary team created cool, fun, unique packaging for locally made, specially brewed beer, which was given as gifts to valued clients and prospective customers. We did this to show our appreciation for our clients and the gifts were a huge hit! Primary Design is extremely proud of our work on behalf of CharterSearch, Chilmark Foods and many other clients. Our talented team continues to partner with clients to improve brand recognition and increase sales via creative, unique campaigns. If you need a smart, talented team to help your company develop an award-winning campaign, click here to contact us today!